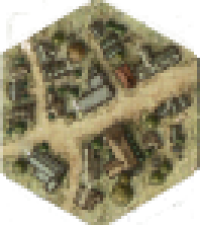 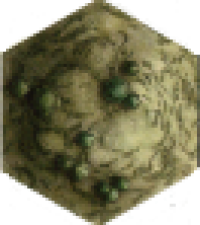 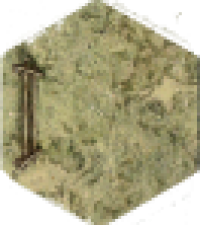 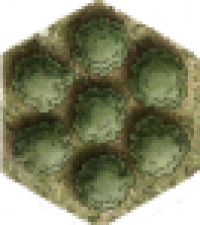 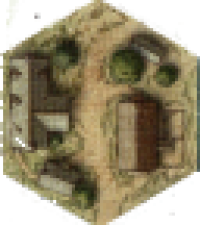 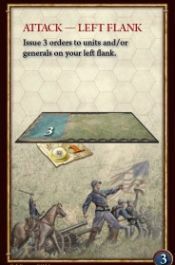 Each silhouette on the map represents either a single general figure or a unit comprised of multiple troop figures. 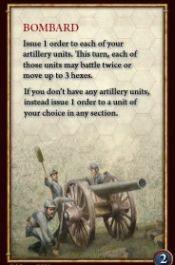 Here you will find full details for each unit. 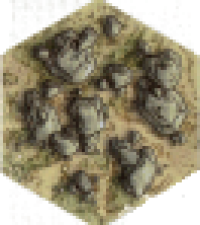 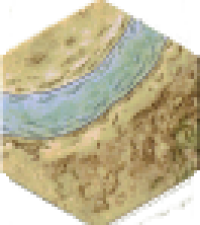 Each type of terrain is described below. 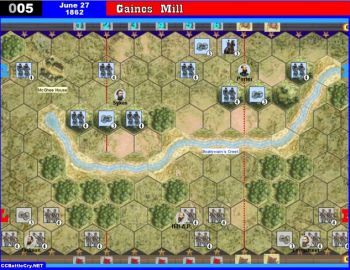 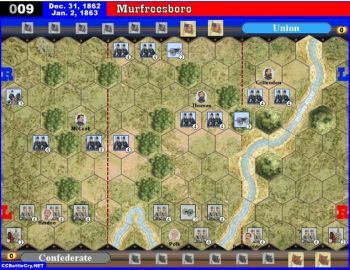 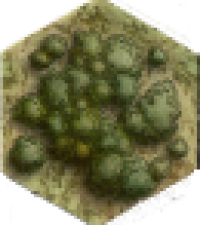 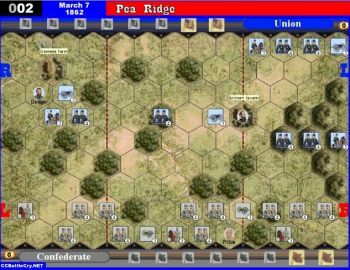 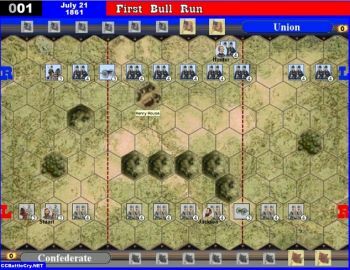 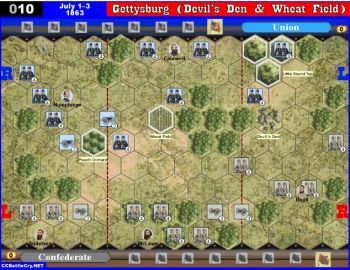 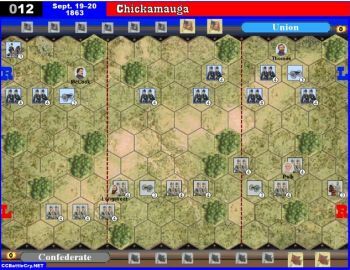 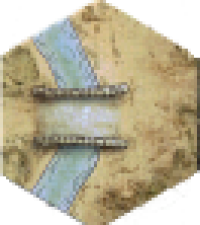 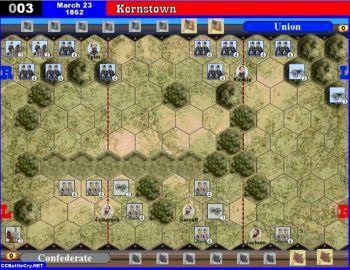 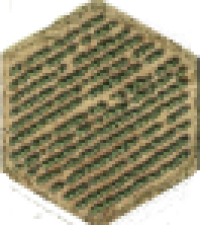 Place terrain tiles on the game board as shown on each scenario map. 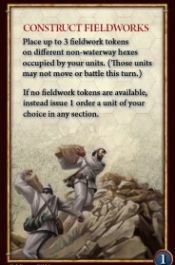 They remain in place and in effect for the entire game. 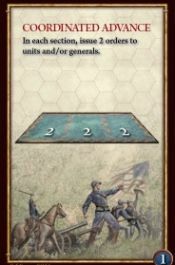 Using command cards, you’ll order your troops to move, attack, and/or do something special. There are two types of command cards: section cards and tactic cards. 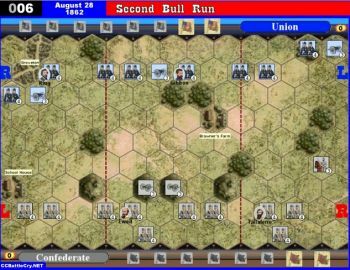 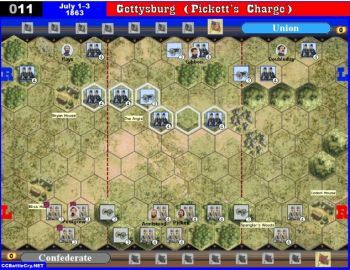 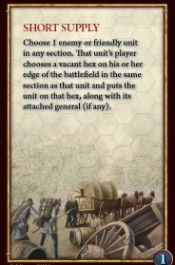 When you play a section card, the card will indicate how many and which type of units you may order to move and/or battle. 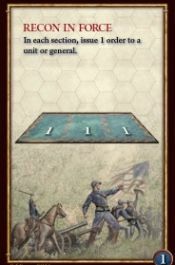 The card will also indicate in which section or sections of the battlefield you may issue orders. 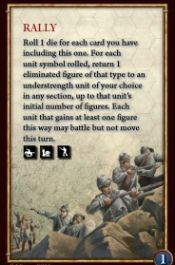 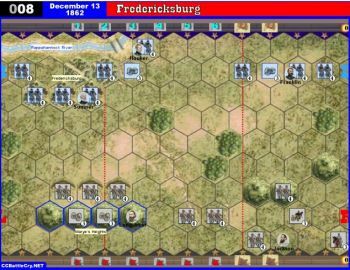 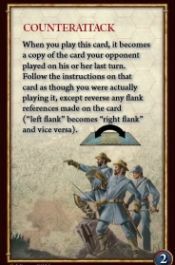 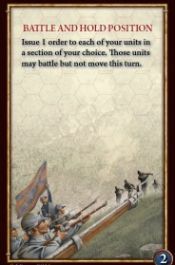 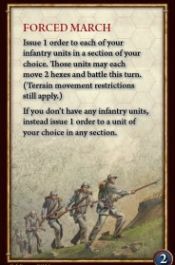 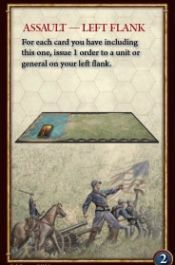 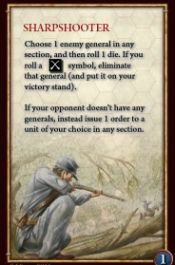 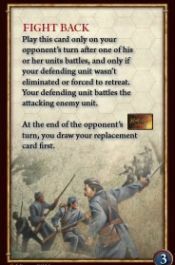 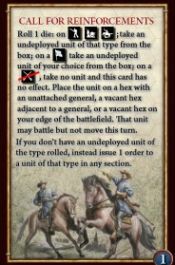 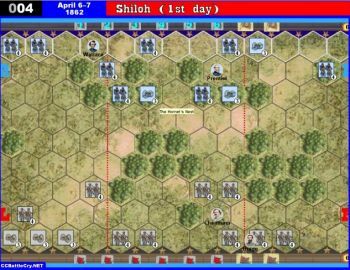 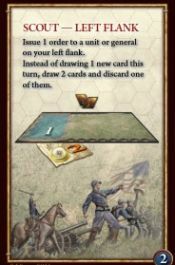 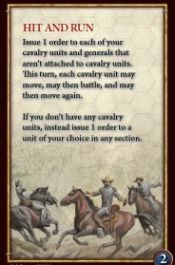 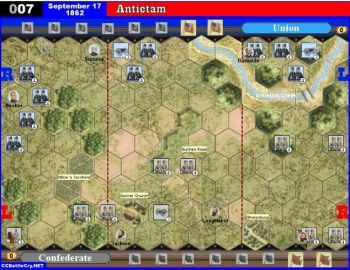 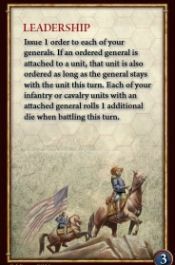 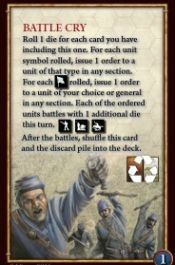 Tactic cards feature special rules that enable units to move and/or battle in unique ways or that create other effects as noted in the text of the card.